The Abbey Road Collection from Waves features a lineup of plug-ins that meticulously model the studios' legendary microphones, consoles, tape machines and signature effects, as heard on countless historic and well-known pop recordings. The plug-in bundle includes both Native and SoundGrid licenses. The EMI TG12345 Channel Strip from Waves is a plug-in that emulates the sound of the legendary EMI solid-state console that helped shape the recordings of bands such as the Beatles, Pink Floyd, and more. Using component modeling technology, the plug-in emulates every feature of the original console, including the input microphone preamp, its harmonic distortion and hum and noise, the bass and treble EQ bands from the mic cassette, the presence EQ band from the console's group/main section, the lush sounding spreader, and the console's compressor/limiter. The plug-in has additional features to accommodate modern mixing needs, including a high-pass filter on the compressor's sidechain, a mix control in the dynamics section for parallel compression/limiting, a drive control, and more. The software also offers routing options that cover the entire TG12345 line, from the original MK I desk on which it was modeled, to the final MK IV models. The plug-in includes both Native and SoundGrid licenses. J37 Tape from Waves is a tape emulation plug-in modeled after the tape machine used on many of the albums recorded at Abbey Road Studios during the '60s, and provides analog warmth and tape delay to digital audio files. Control over settings include tape speed, bias, noise, saturation, wow, flutter, and the high- and low-pass filters. Additionally, it provides three tape formulas developed by EMI during the '60s and '70s heard on countless records from that period. Not limited to tape emulation, the J37 also provides three types of tape delay that can be synced to the tempo of a session. The plug-in includes both Native and SoundGrid licenses. REDD from Waves is a channel strip plug-in based on the classic REDD.17, REDD.37 and REDD.51 consoles that helped shape the sound of records from the Beatles to Pink Floyd. The REDD consoles were custom-designed, built by, and named after Abbey Road Studios' in-house Record Engineering Development Department and were renowned for their silky smooth EQ curves, warmth and stereo imagery. Developed in association with Waves and Abbey Road Studios, each channel strip has in-line tone high and tone low controls, as well as a bass lift and a drive control. The plug-in includes both Native and SoundGrid licenses. 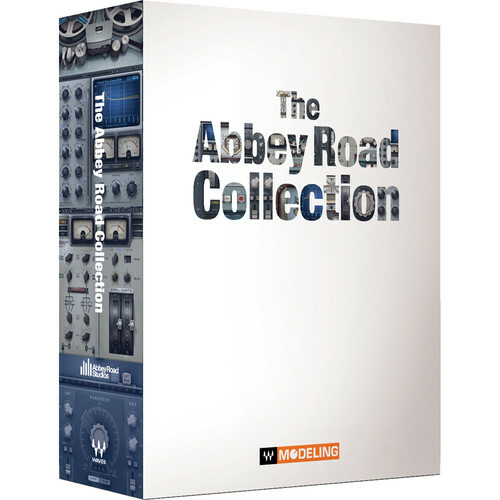 The Reel ADT from Waves is a plug-in that emulates Abbey Road Studios' pioneering process of ADT (Artificial Double Tracking). The effect was initially created at the studios in the 1960s to meet the needs of The Beatles. Using intuitive controls, the doubled signal can be advanced or pushed back to achieve lush-sounding delay and pitch variations. The plug-in includes both Native and SoundGrid licenses. Each of the signals can be driven separately to add tape saturation. With an authentically modeled valve tape machine sound and emulation of wow and flutter, the plug-in can enhance any track with the impression of two separate takes, and provide results as close as possible to real double tracking. Other classic Abbey Road tape effects such as flanging and phasing can also be achieved with ease. The RS56 from Waves is a plug-in based on the passive equalizer from Abbey Road Studios. The RS56 Universal Tone Control was originally introduced in the early '50s and used to prepare recordings for the record-lathe, as part of the mastering process. Later, Abbey Road's pop engineers began using the unit for studio recordings because of its abilities to dramatically manipulate sound. The EQ features three bands, each with four selectable center frequencies and six filter types, plus independent or linked control over the left and right channels. The plug-in operates in mono, stereo, and mid-side modes. The plug-in includes both Native and SoundGrid licenses. The King's Microphones from Waves is a plug-in that recreates the sound of three microphones, previously used exclusively by the British royal family for speeches on momentous occasions. Discovered within the vaults of EMI's Abbey Road Studios, the microphones were used to record music and dialogue for the film, The King's Speech, the first time they had been used by anyone outside the royal family. Each of these microphones, dating back to the 1920s and 1930s, was tailored and tuned especially for its specific user - King George V, King George VI and Queen Elizabeth. Beautifully designed and decorated with gold, silver, and chrome adornments bearing the royal coats of arms, each is a one-of-a-kind masterpiece with its own distinctive sonic character. The King's Microphones plug-in offers accurate re-creations of the originals' unique frequency responses, with three proximity settings for each microphone, and includes both Native and SoundGrid licenses.